BG Ultimate Pro Fixed Blade 31-001901. 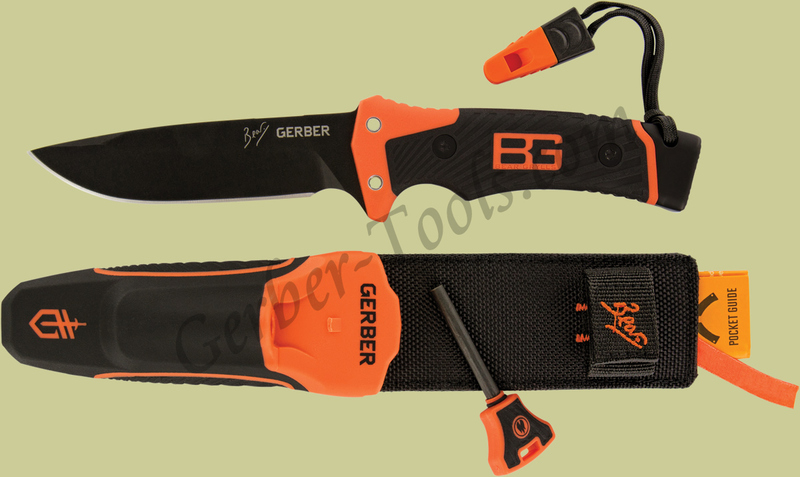 For those of you that like the Bear Grylls survival knives the Ultimate knife got even better. This Bear Grylls Ultimate Pro Knife model 31-001901 is a knife, sharpener, fire starter, and whistle all in one. 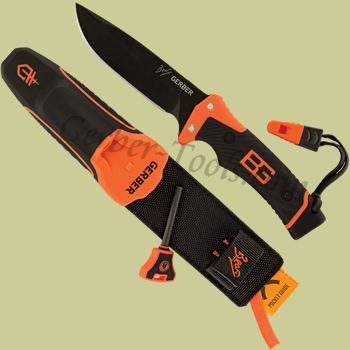 This fixed blade knife comes in an orange and black sheath that will have a sharpener on the inside of the handle. The end of handle has a lanyard and hard stainless steel pommel ready to be a hammer. The blade is a 4.8-inch fine edge all the way up with this drop-point blade. You will also get a Bear Grylls “Priorities of Survival” Pocket Guide in this kit.